MANILA, Philippines - A video of a road rage incident involving a tricycle driver, netizen Geremiah Ruther Barros Ngan and his driver is making rounds on social media after it was shared on Facebook. The disturbing incident captured on dash cam occurred on Tuesday, August 16 in Sto. Tomas Batangas. In the short video clip, the unidentified tricycle driver allegedly cut and hit the side mirror of Ngan’s vehicle. A few moments after the tricycle driver drove past their vehicle, he decided to return and confront them. However, instead of appropriately settling the issue, the driver suddenly began furiously hitting the windshield and destroying the wiper of their vehicle. Despite the danger the situation poses, Ngan and his driver remained calm and didn’t go down the vehicle to face their assailant. Eventually, the tricycle driver was seen leaving the scene. 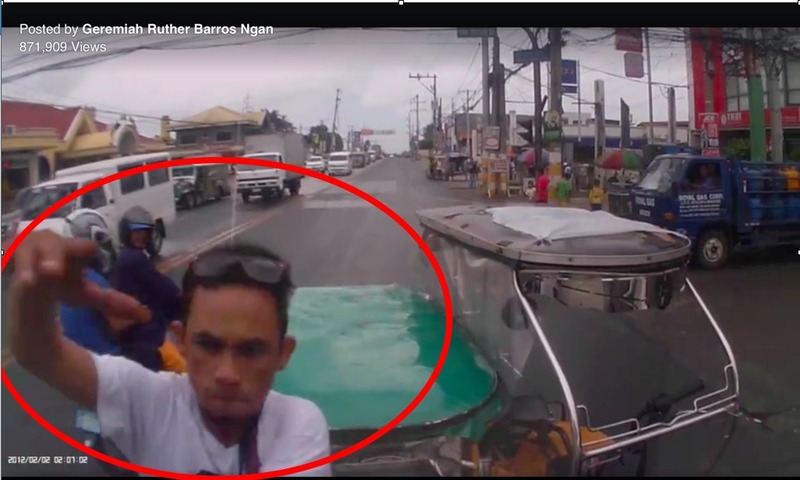 Netizens were quick to react on the viral video urging Ngan to press charges against the tricycle driver since he holds video evidence against him. Some also pointed out that the tricycle driver appeared to be under the influence of illegal drugs. It should be noted that the dash cam video only showed the turn of events a few seconds before the tricycle driver cut Ngan’s vehicle. Any incident prior to the one shown in the clip was not included in the footage. Last month, multimedia motoring journalist James Deakin has made a proposal to make dash cams mandatory in all vehicles in the Philippines. According to him, requiring every single vehicle to have dash cams will solve the traffic problem in the country within 100 days. Mandatory dash cams, according to Deakin, would enable citizen to report bad drivers causing traffic problems to authorities. From the video evidence enforcers would receive from citizens, they could get plate numbers, identify the driver and press charges against them.